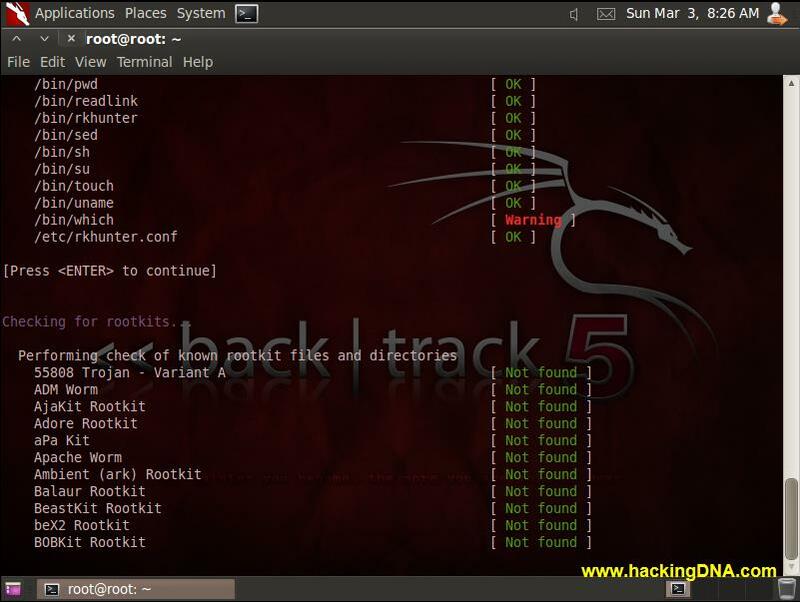 Rootkits are the combination of several programs that are designed to take the root access . 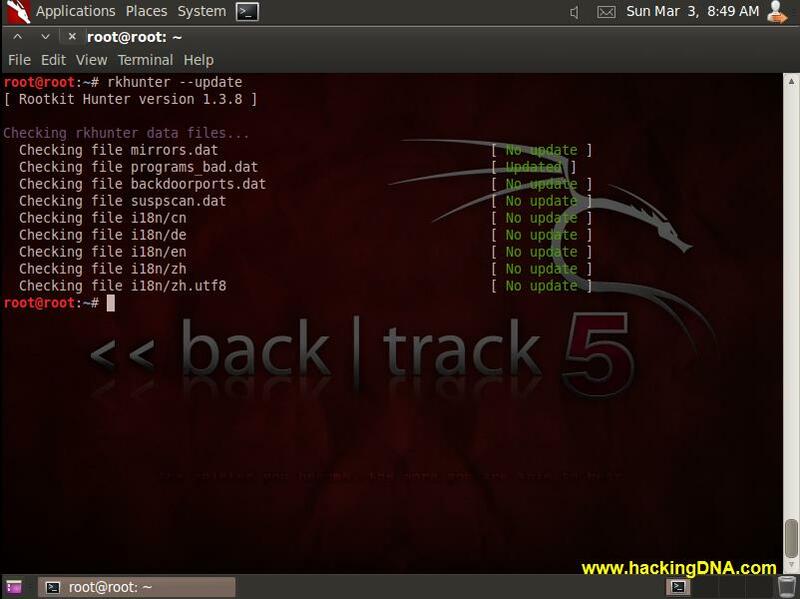 Most rootkits use the power of the kernel to hide themselves, they are only visible from within the kernel. Then how do I detect rootkits under Debian Linux server? To find rootkits in your KERNEL , this tool which is preinstalled in Backtrack 5 r3 help you to find rootkits . 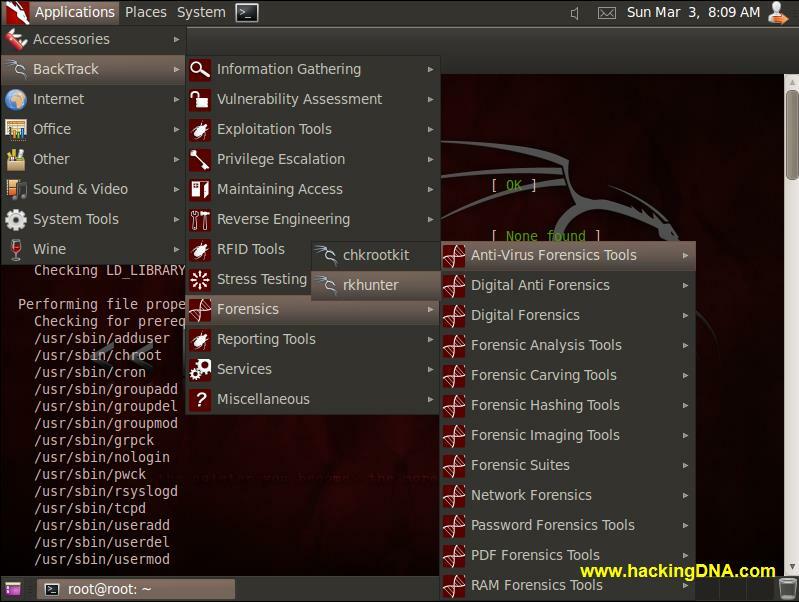 Rootkit Hunter is released as GPL licensed project and free for everyone to use. To update rkhunter , use the follwing command . It ask you to press enter to start the next checking process . 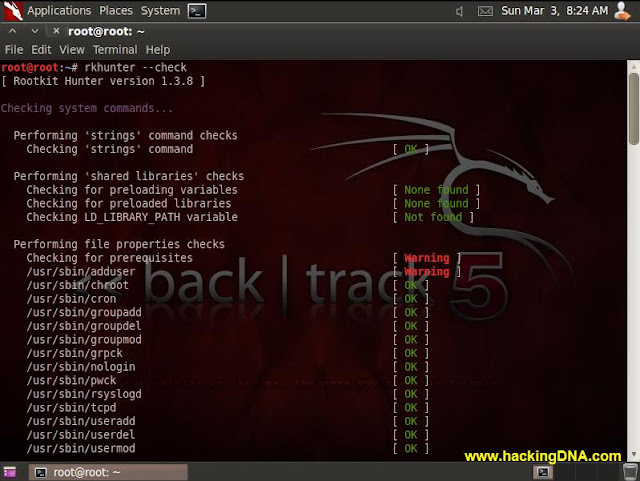 This is how you can use rkhunter on your backtrack 5r3 machine. Keep following www.hackingdna.com , because more tutorials in a queue.